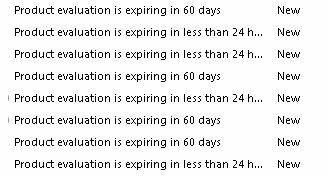 This can be a little scary especially when you are seeing this in a production environment. The official Microsoft instructions for adding a license key can be found here. So the reboot seems to be key after running through all the steps above. If the engineer is a SQL DBA than there is no problem as they will understand both the source and ultimately how to fix the problem. Sadly not everyone who has or manages a SQL server is a DBA. There are plenty of cases where a sysadmin acquires a few SQL servers which they know the basics of managing or at least how to point an app server at to use it, but they may never have had the time to dig deeper into SQL, thus MsDtsServer100 IS Package Failed is not always particularly useful. So how do you troubleshoot this error? This is where things get confusing, everything looks like it ran perfectly as per the little green check marks of success. 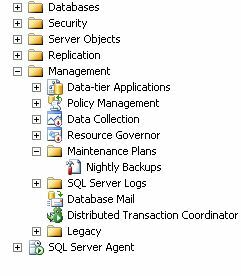 You see a Rebuild Indexes, a History Cleanup, some generic Maintenance task, and a DB Backup. All successful. So where is the error coming from? Subplan II actually had two components: one was a rebuild indexes which you can see from the SQL Management Studio history occurred successfully. The other item in this particular case was a reorganize indexes which was failing. Reorganizing indexes immediately after rebuilding them doesn’t sound like a very good order of operations. For this specific issue I recommended that the engineer remove the reorganize indexes from subplan II and the error has never happened since. So if you see MsDtsServer 100 IS Package Failed you are going to want to go to the Application Event Log of the SQL Server to figure out the source of the problem. Unfortunately, I haven’t had much luck with the recommended fixes. In the past with other systems I used to just reboot the server in question. but I hate having to rely on a reboot to fix a problem as it’s not a particularly good long term solution. If I try searching for anything that might be hogging all the threads, nothing obvious stands out. If I run the handy WMI diagnosis tool I get more or less the same thing, along with some useful information that other than the threads being created issue all seems to be well. I am 99% certain if I were to reboot the system it would resolve the issue, but my guess is this would be only a temporary fix. The particular system I am having the problem on now happens to be of the mission critical cannot reboot under any circumstances without change management and a team of skilled surgeons on hand to bring it back to life should it decide to crash post reboot. In the interest of a long term solution, I am going to try running the recommended hotfixes to make WMI more robust as recommended by Marnix Wolf on his excellent Blog on OpsMgr. I will continue to update this post with any further info related to WMI troubleshooting that I come across in the future.